The cookies contain an undeclared allergen (milk). 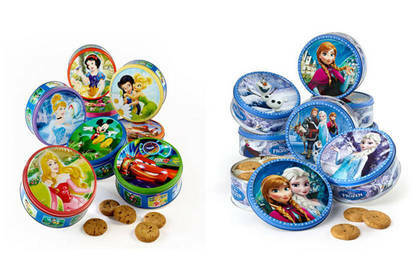 The cookies are sold in 150g tins, in Countdown supermarkets and The Warehouse. All batches are affected. People with a milk allergy or intolerance should not consume these products. If you have consumed this product and have concerns about your health, seek medical advice. Consumers who are allergic or intolerant to milk should return the product to their retailer for a full refund. If you have questions, contact Redwood Pacific Ltd on 09 526 1921.